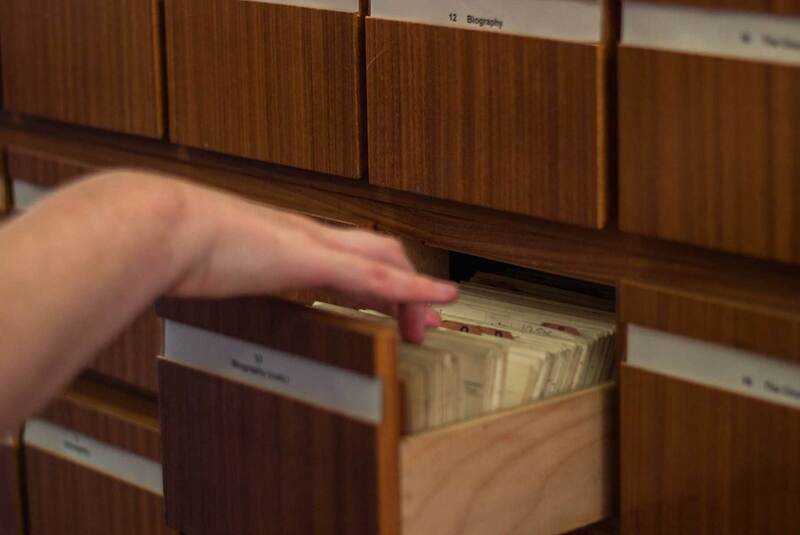 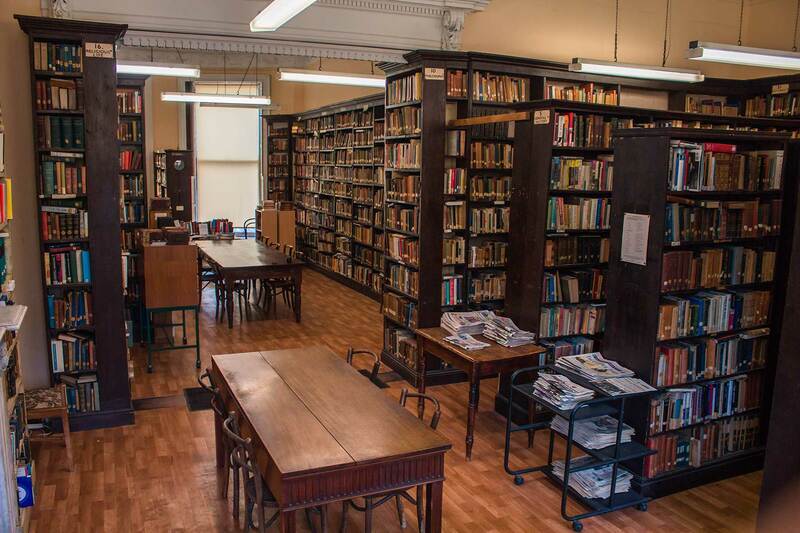 The book collection is arranged on the shelves according to a classification scheme designed specially by Fr. 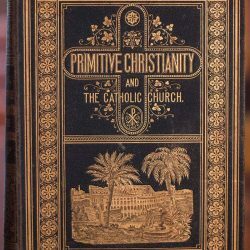 Brown, and made up of thirty main subject areas. 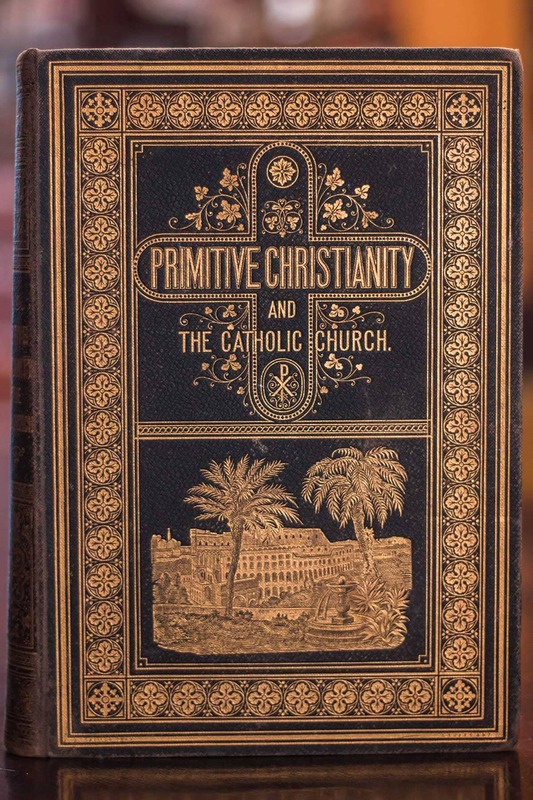 These begin with the Bible (section 1), Christology (section 2) and the writings of the Church Fathers (section 3) and then fan out to cover the full range of catholic culture as this was understood in Fr Brown’s generous vision: from bible studies to drama, from theology to sociology, from works of spirituality to catholic fiction and poetry, from church history and documentation to secular history. 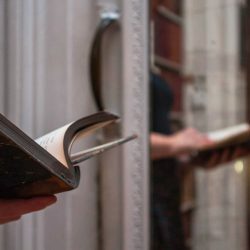 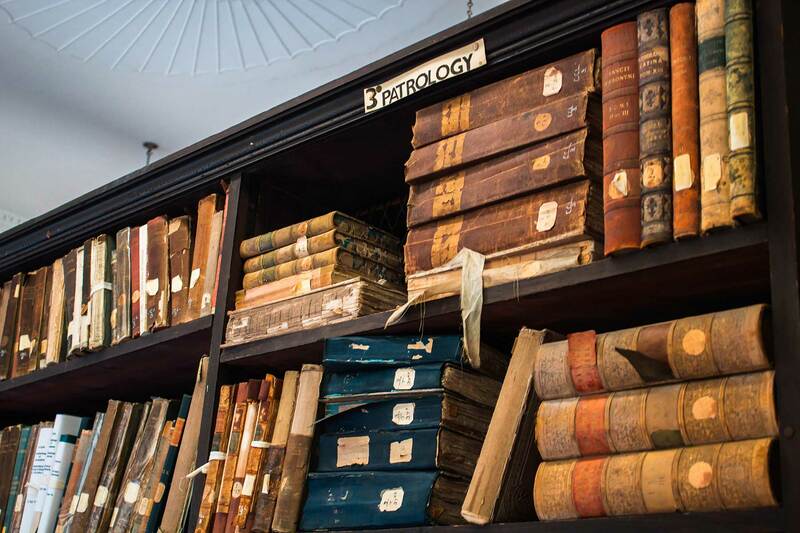 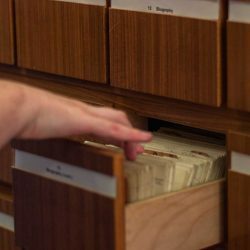 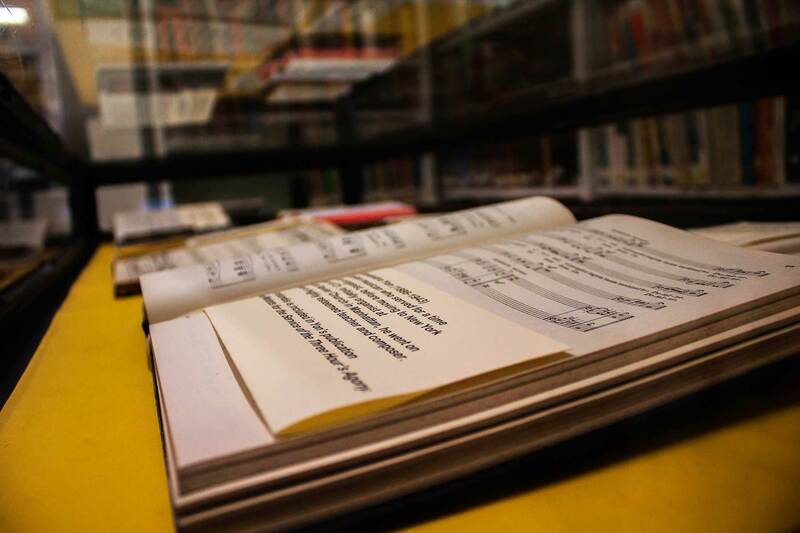 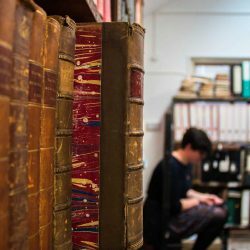 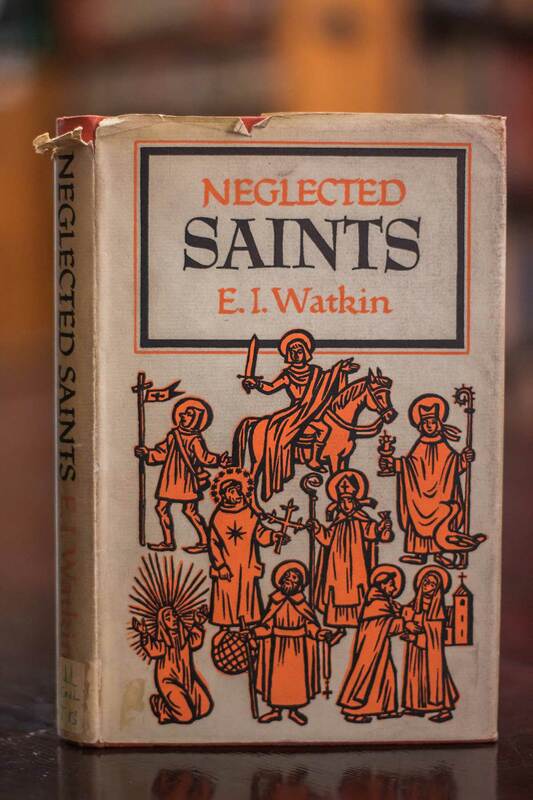 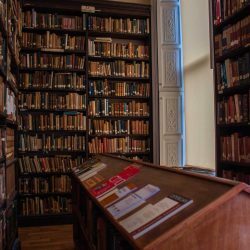 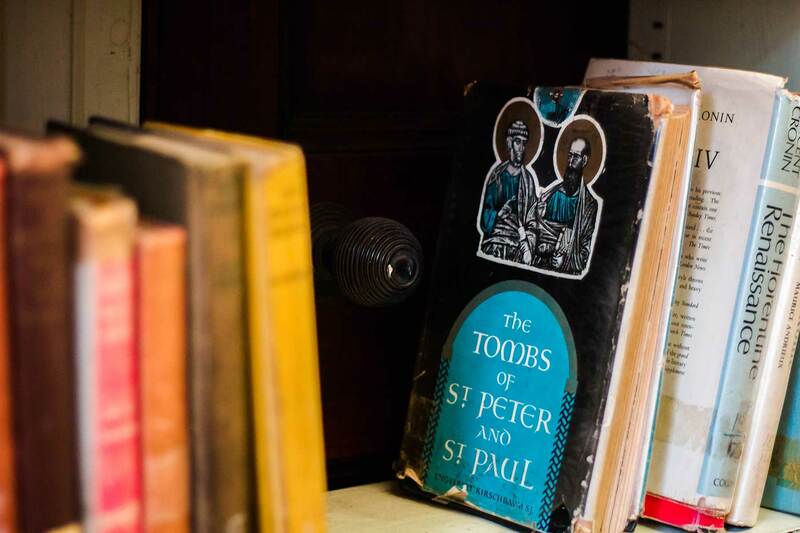 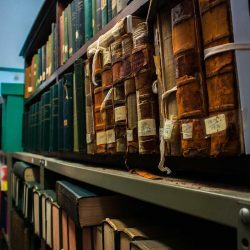 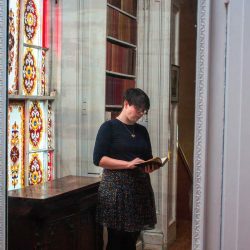 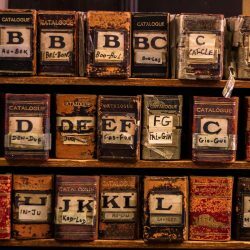 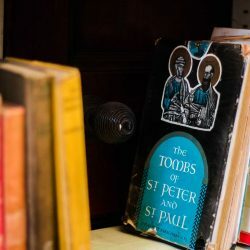 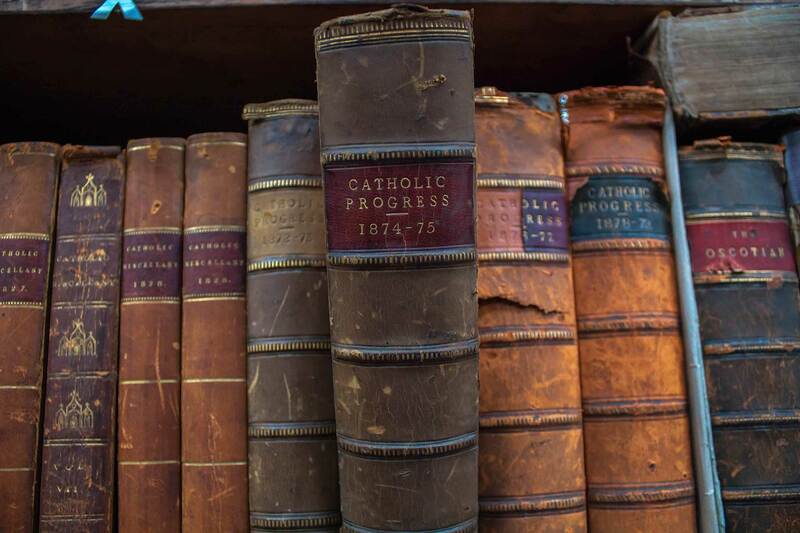 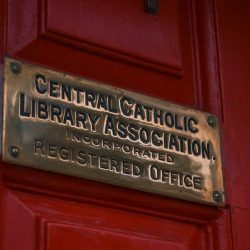 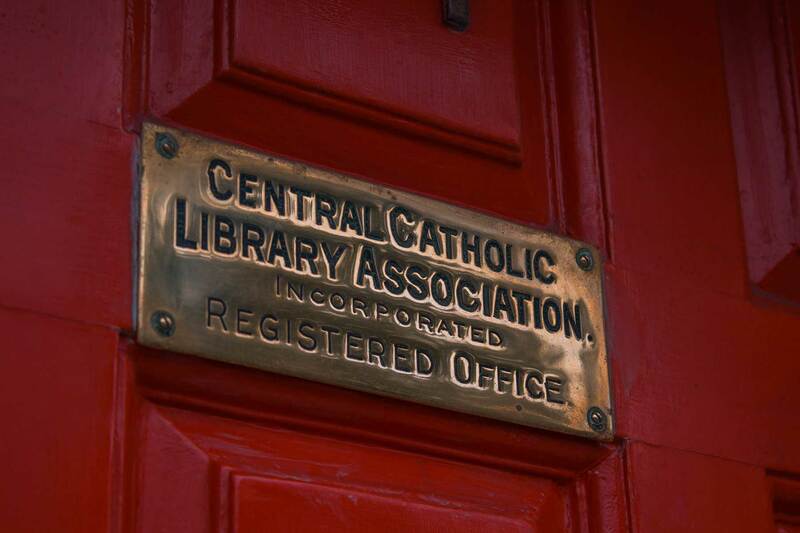 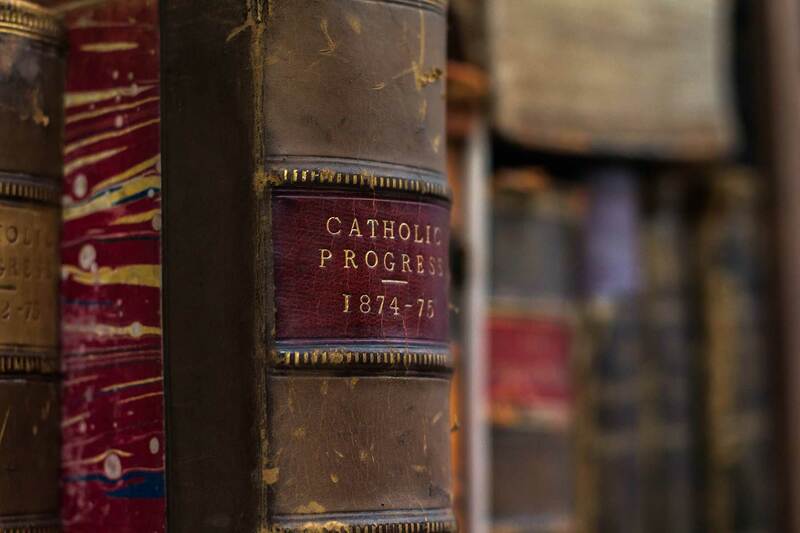 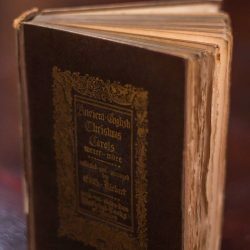 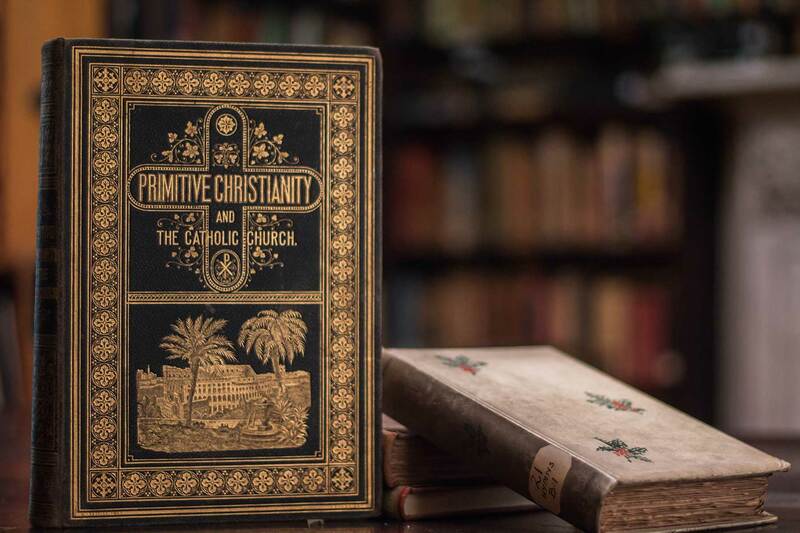 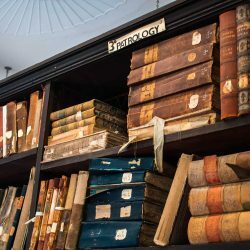 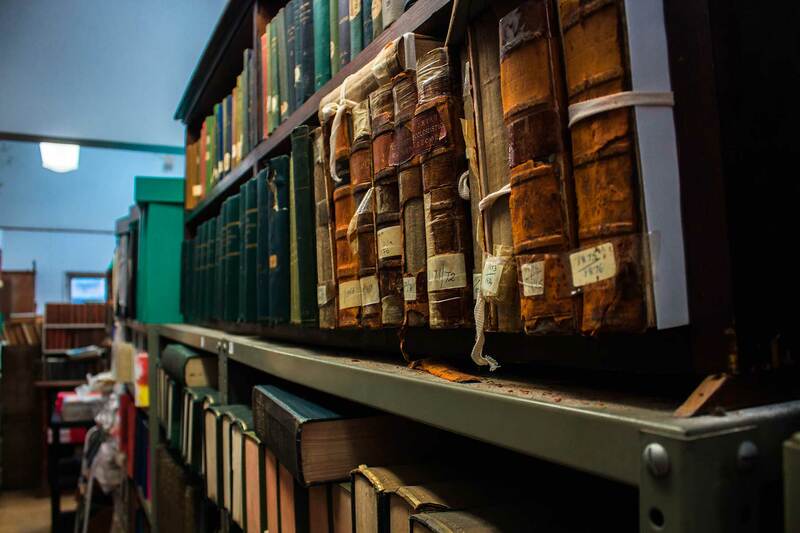 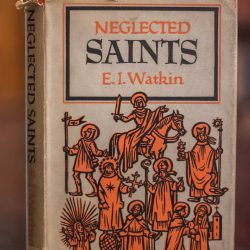 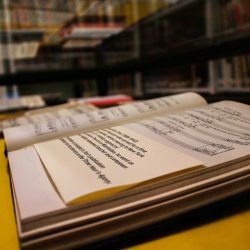 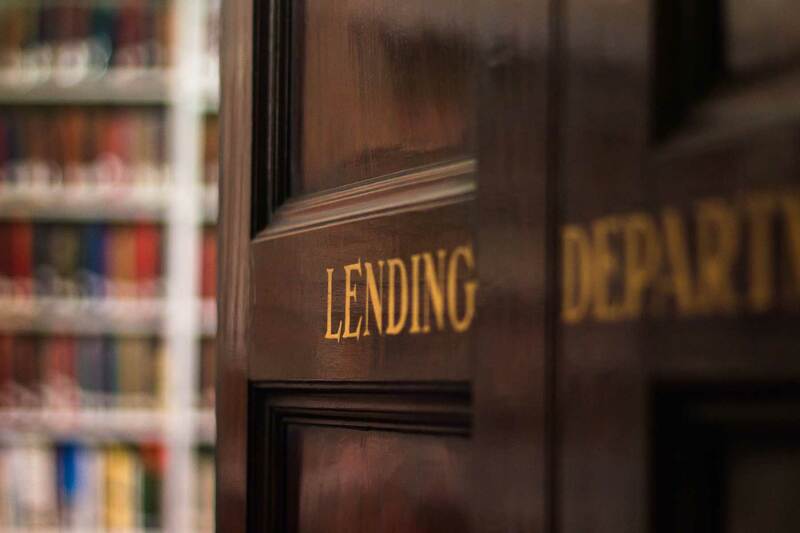 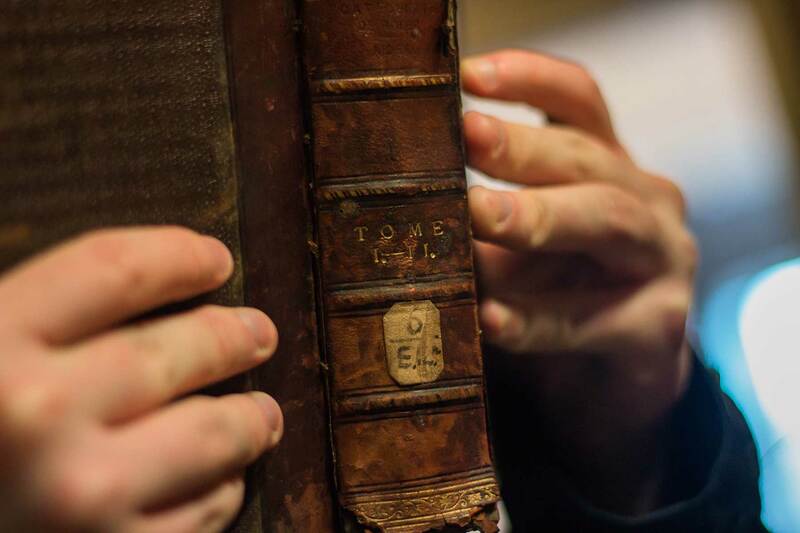 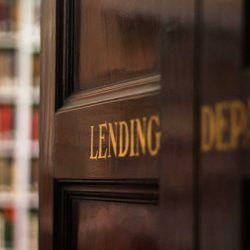 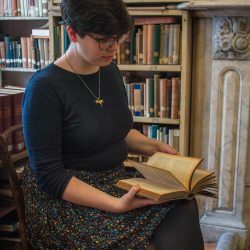 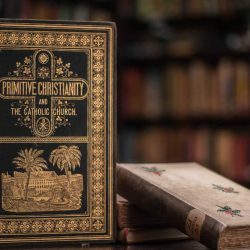 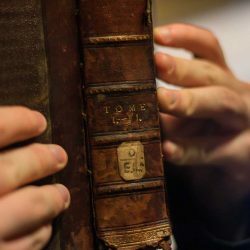 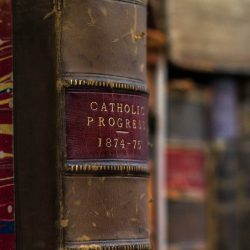 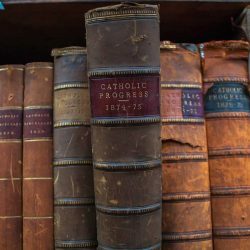 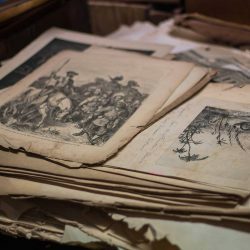 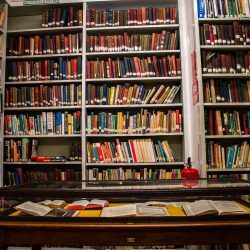 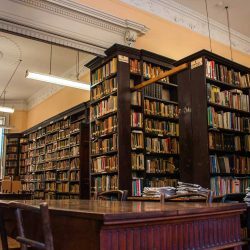 The library also holds a valuable collection of periodicals, dating back to the 19th century, an extensive collection of pamphlets, and sets of Catholic directories and encyclopaedias. 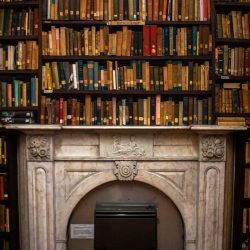 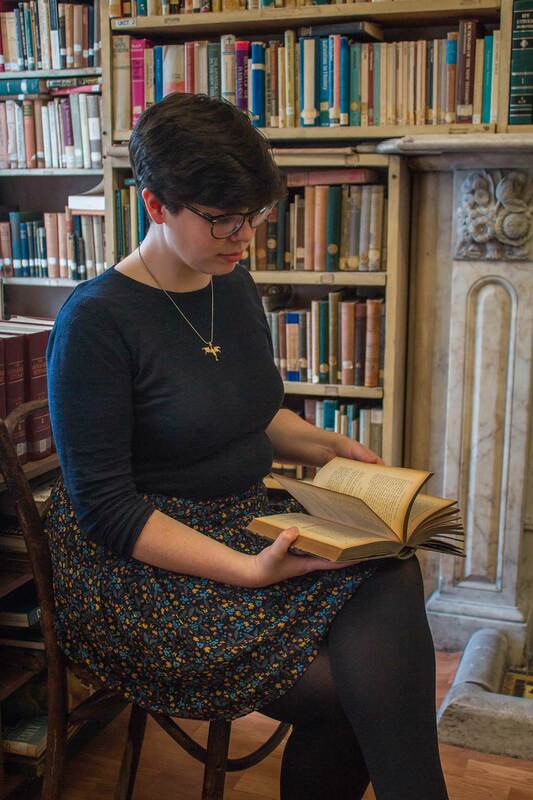 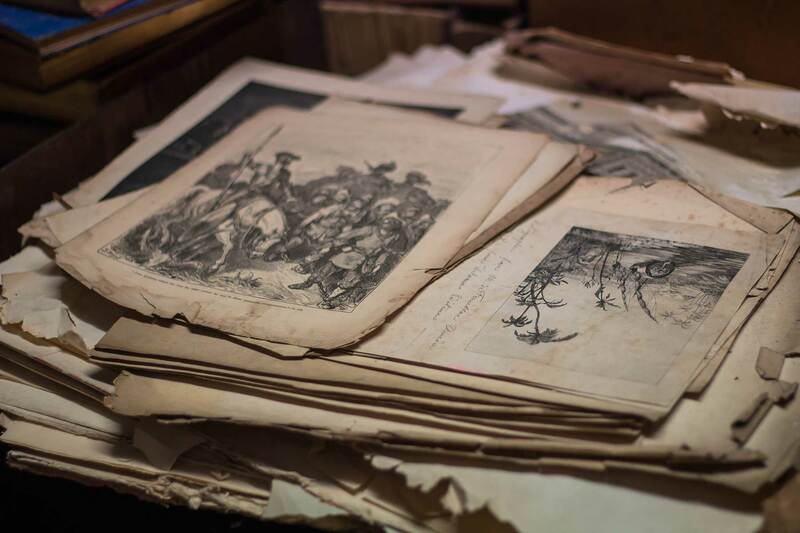 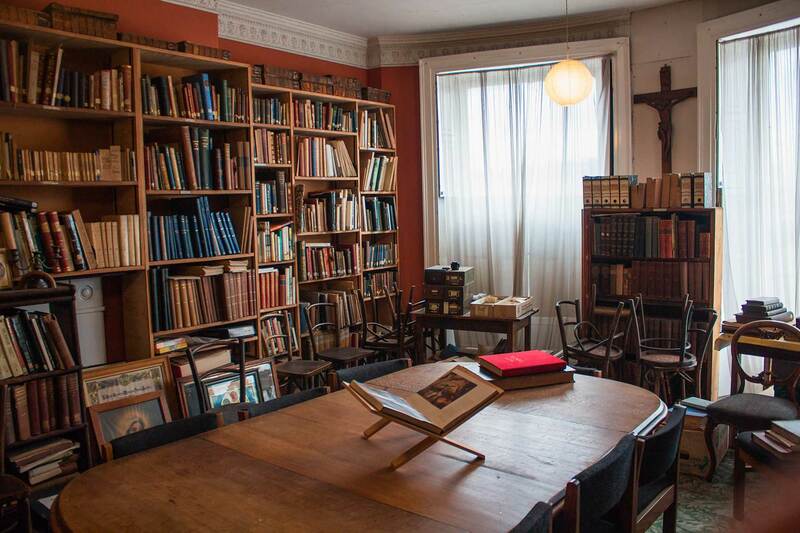 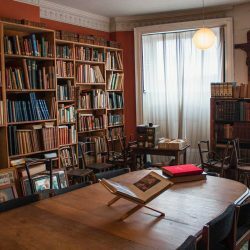 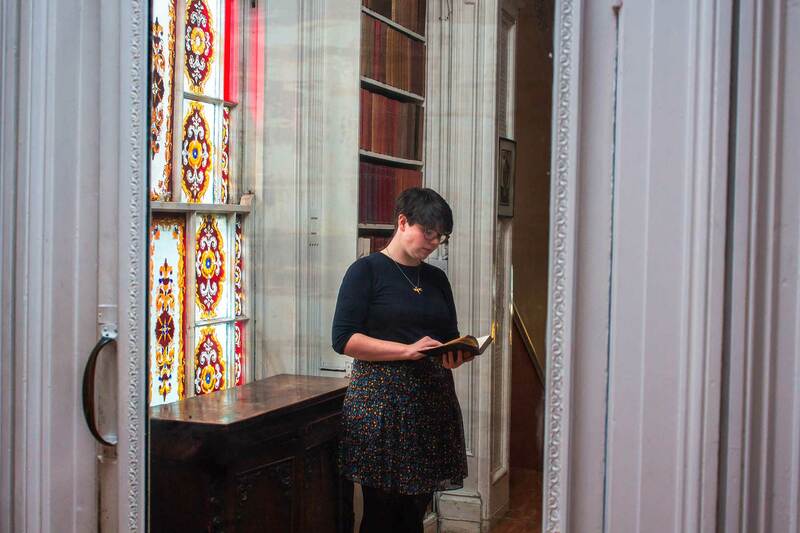 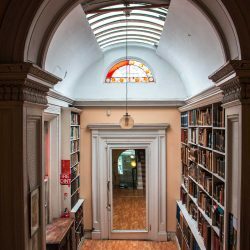 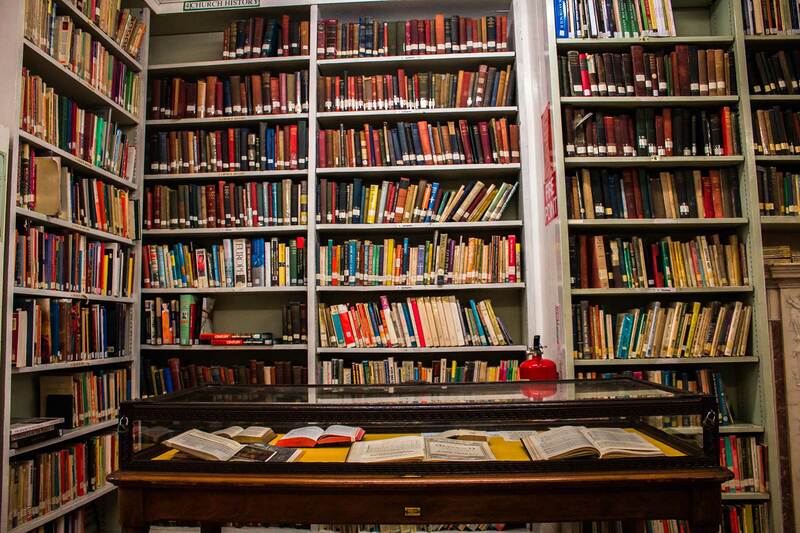 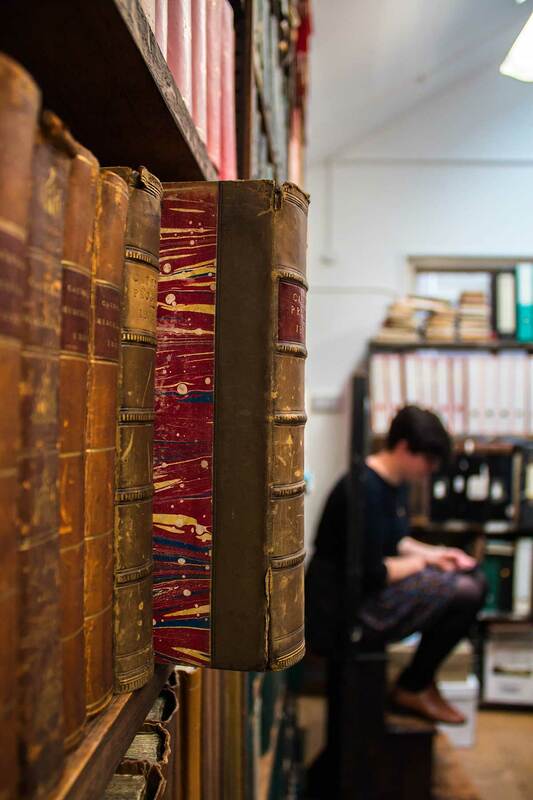 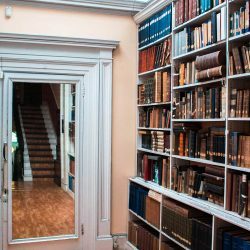 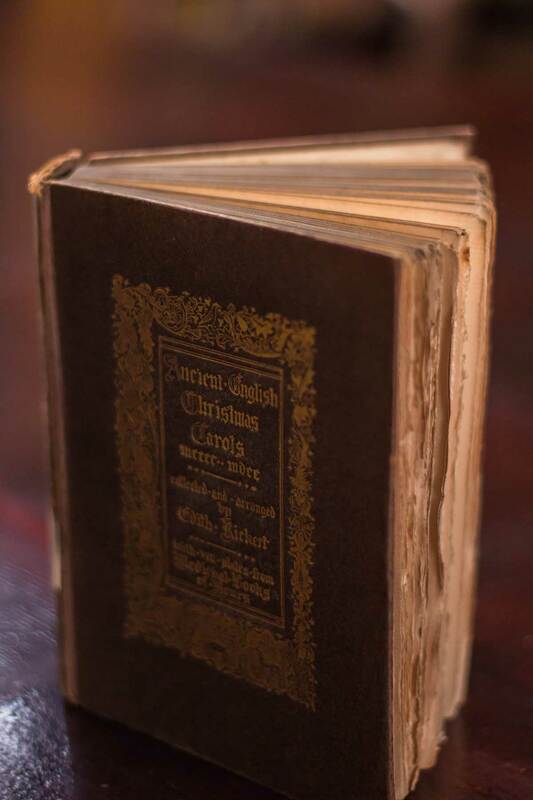 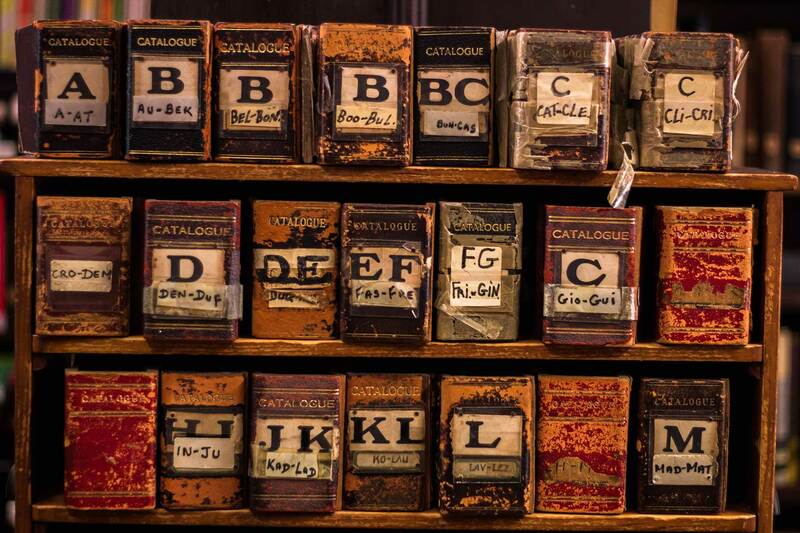 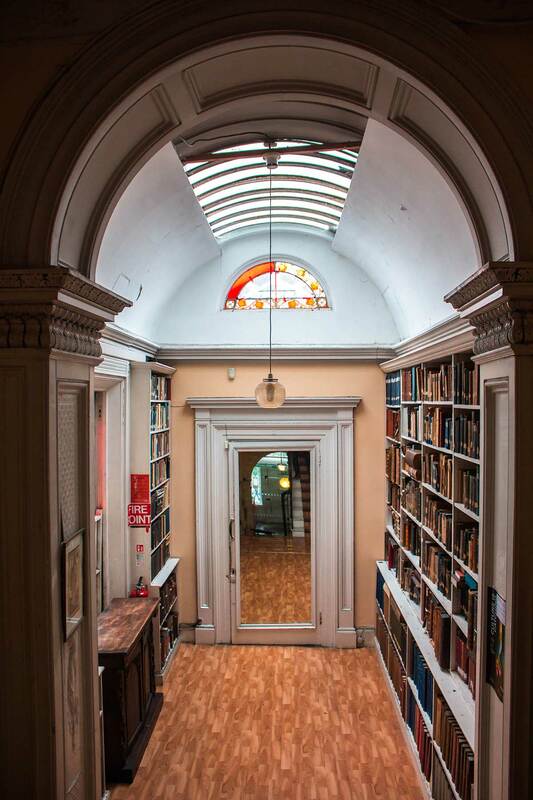 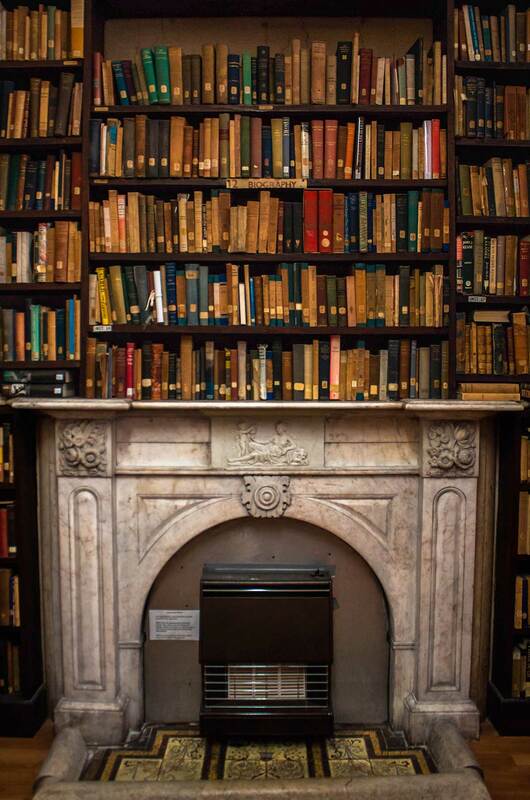 The collection extends through four floors of our Georgian house, with the periodical room and lending library on the ground floor. 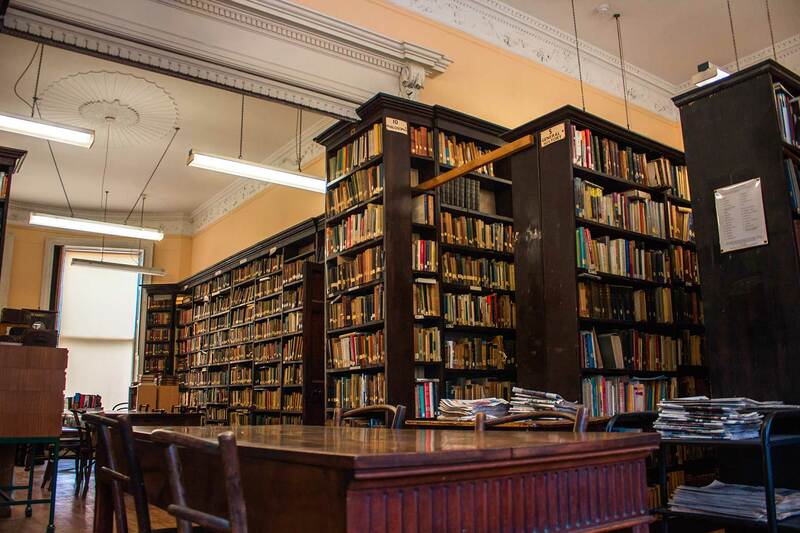 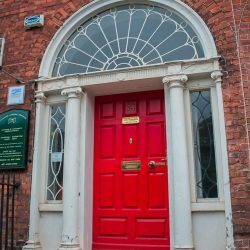 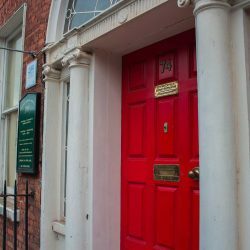 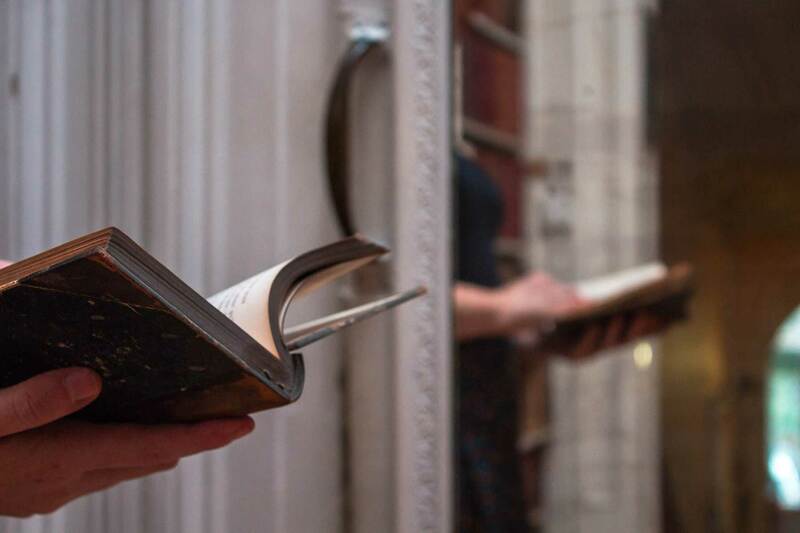 On the first floor is our main reading room, which offers over 40 current journals and newspapers, as well as religious encyclopaedias and books in a number of subject areas including spirituality and theology. 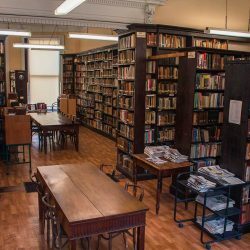 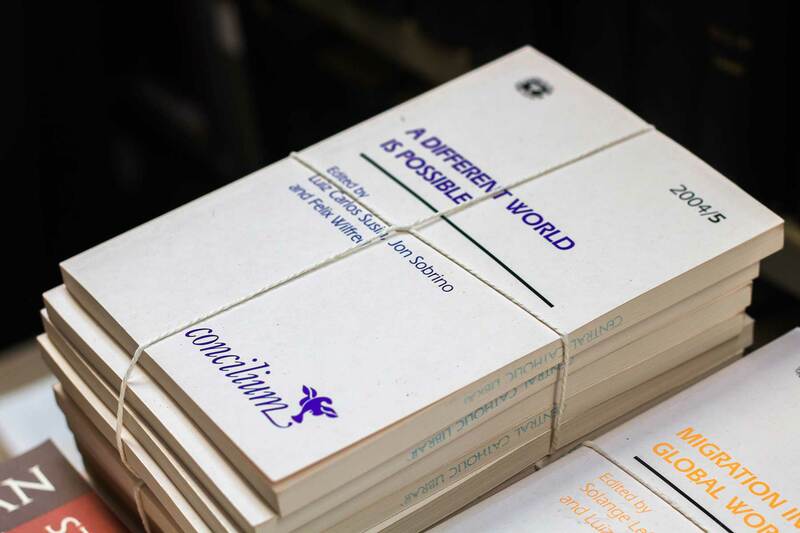 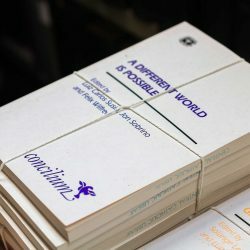 On the second and third floors, the reference collection continues with books on art, Irish history and culture, social teaching, and the missions. 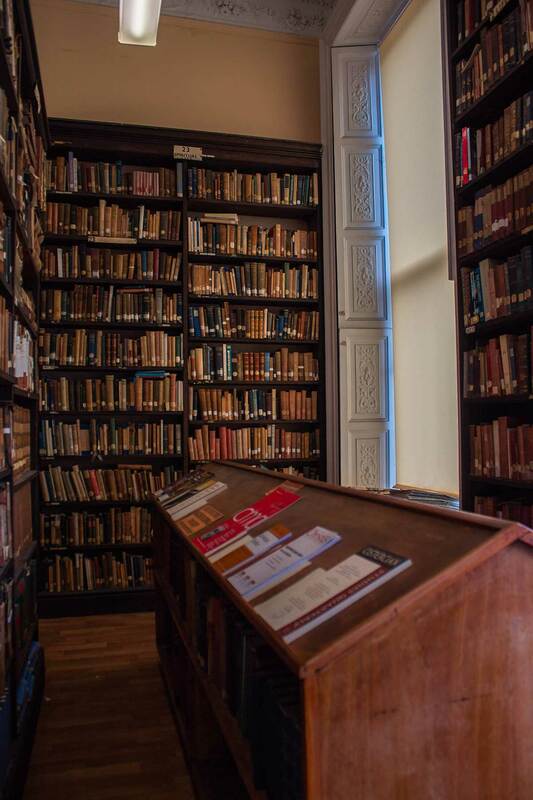 The library holds 1,200 books printed before 1850, and the majority of these are housed on the third floor also. 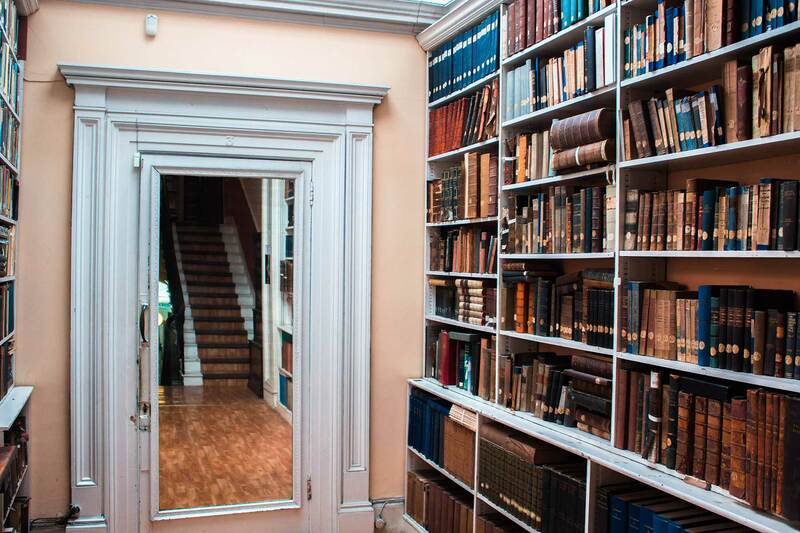 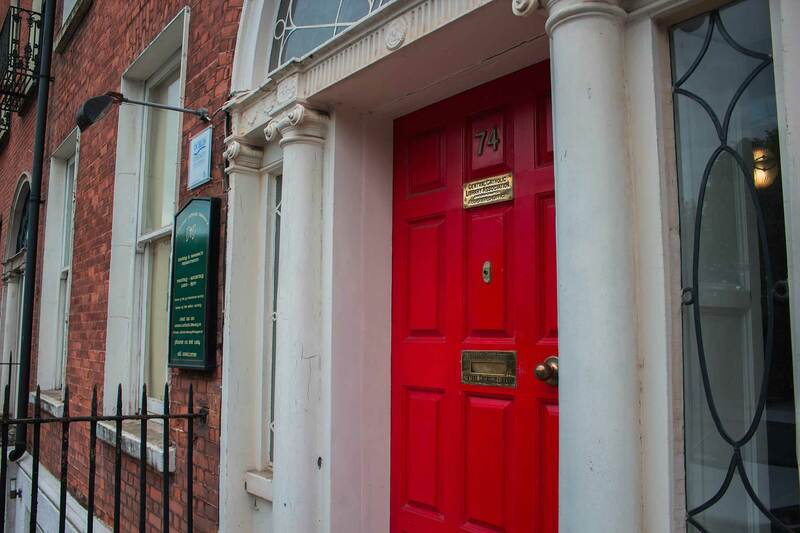 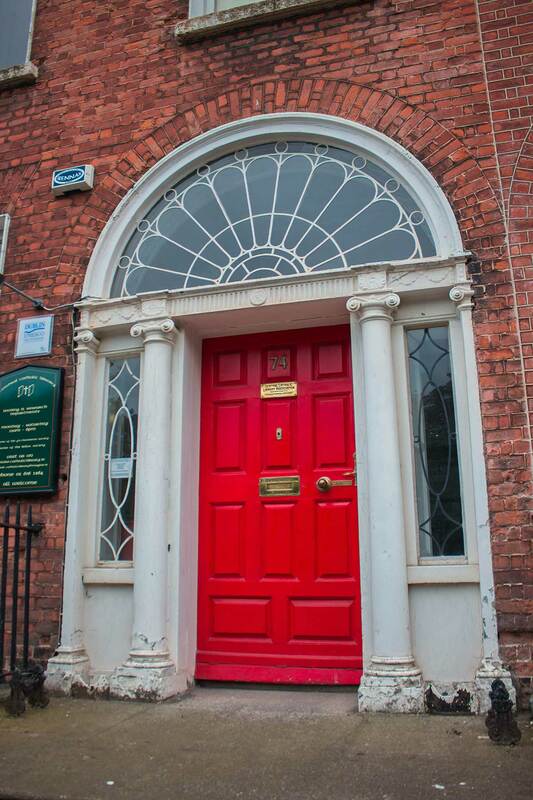 Access to the second and third floor rooms is available on request.